So last month in preparation for Batman v Superman I watched all the Batman and Superman movies and gave my best shot with a mini review for each film. Even though I’m kind of superhero movie’d out I decided I’d plow forward and do the Marvel movies as well. It’s no secret that I enjoy the Marvel movies much more than DC properties but before Avengers I actually wasn’t into superhero movies at all. From Catwoman to Green Lantern, it seemed like all I saw were horrible movies, so I was turned off of comic book movies. I didn’t see any of the early Marvel films and had no interest in seeing The Avengers. But my friends told me I had to see it and despite not seeing the earlier films I watched it and to my surprise- loved it. I liked seeing the formation of the team and all the different personalities. It had action but it wasn’t too bleak or drab. It was funny without being stupid and it had a female character that was awesome. It took me a while to then go back and watch the earlier films, and I enjoyed those as well. I know a lot of people complain about Marvel’s villains but that honestly doesn’t bother me. I guess I like my heroes better than my villains. I’ve yet to see a film from Marvel that I’ve hated. They just get me! So I decided to do these mini-reviews Best Shot style like the Batman and Superman posts. I am going to split these up into 2 posts as it will take me a bit to watch phase 2 and I didn’t want to forget why I picked my phase 1 spots and 13 reviews seemed like a lot for one post. I hope you enjoy them and let me know what your favorite shot or moments are from these films. Thanks! Iron Man got the MCU off with a bang and is beloved for a reason. A super satisfying comic book movie with Robert Downey Jr oozing charisma out of every pore. Jeff Bridges is a decent foe but what I like most about this film is how smart Tony has to be. He’s given scraps and is able to build his first suit and then he continually uses his brain to make things better and help more people (and himself). I think you lose a little bit of that scrapiness and intellect as the series continues so it was refreshing to see it again. I picked this shot because I think it shows Tony thinking and problem solving. The Incredible Hulk is a weird Marvel movie because it doesn’t really feel like a Marvel movie. It feels like something more out of Birdman than Marvel and in that regard it is interesting. Edward Norton seems like he is in another movie he is so dark and brooding all the time. Once Mark Ruffalo takes over you get a little more fun. There’s also way too little hulking for a Hulk movie. That said the final showdown is fun and the chemistry between Liv Tyler as Betty is good. I picked this shot because I thought it was really cool moment in the big fight. Everyone kind of hates on Iron Man 2 and it is a flawed film but I enjoyed watching it. They definitely make Tony too unlikable in this film. He’s a real jerk and Mickey Rourke is just ok as Whiplash. We also get more of Pepper than we probably need but I don’t hate her like many people seem too. It’s nice to get our first glimpse of Black Widow in all her Scarlett Johansson sexiness. But the best part of this movie is exploring the idea of a famous superhero. That’s never really been done in a superhero movie and I found that interesting. That’s why I picked this shot showing Iron Man playing for the crowd in all his glory. Thor is probably the character from the MCU that shouldn’t have worked. I mean a Norse God with a giant hammer just sounds so stupid but I actually enjoy this film! First of all, I love the world of Asgard that they build. It looks beautiful and the dynamic between Loki and Thor is dynamite. I also like how Loki is trying to get the approval of his father Odin played by Anthony Hopkins. Where it falters for me is when Thor gets to earth. Some of those scenes are very amusing but I don’t really love Natalie Portman as Jane and don’t feel that she and Thor have great chemistry. I’m always waiting for it to get back to Asgard. (I also think that Tom Hiddleston and Chris Hemsworth are two of the world’s prettiest people so that helps…). My shot for Thor features father Odin and the two sons Thor and Loki- the best parts of the movie! As I said above The Avengers brought me back into appreciating comic book movies. It’s one of those movies I can’t imagine not being at least marginally entertained by. I love how the team doesn’t work together or gel immediately. You get their individual stories and journeys to the group so it feels so satisfying when they all do become one. Loki is so much fun as the villain and I love his interactions with all involved. Agent Coulson’s death is emotional and I totally buy it galvanizing all of our heroes. I love each of the Avengers and the witty dialogue Joss Whedon gives them is perfect. I think Mark Ruffalo was a good choice over Edward Norton for the Hulk. The action is tense without being drab or dreary and the special effects hold up. It’s just a great movie, not just a great comic book movie. I love it! It’s probably predictable to pick this shot of our team but it’s honestly my favorite so it’s my pick! Great write-up. I agree on most points. Iron Man was excellent and I never found Iron Man 2 to be nearly as bad as many did. It was certainly better than the highly frustrating Iron Man 3. Kinda mixed on Incredible Hulk but for the most part I’m a fan. Wasn’t as found as you regarding the end battle but everything else really worked. And how about Thor? Probably their riskiest venture. That thing could have been cheesy and dumb beyond measure but they nail it. Perfect tone and sense of humor. LOVE Captain America. Really strong story and cast. And the Avengers was such fun! It was a good Phase 1! Thanks and thanks for sharing your thoughts! It really was a great phase 1 especially when you consider that nothing like it had ever been attempted before. Now everyone is trying to do the cinematic universe but Marvel will always be the pioneer for doing it first and best. A lot of the success comes from tremendous casting. It’s what makes a movie like Thor work because I agree it could have been so stupid but Chris Hemsworth is perfect for that part. Iron Man and The Avengers: love them, as I mentioned on my blog. The Incredible Hulk: not brilliant, but I think it’s underrated. I like it a lot better than Ang Lee’s Hulk and I did prefer Edward Norton until Mark Ruffalo had time to grow on me. The action is fantastic, but it’s pretty simple in other respects. Iron Man 2: very entertaining first act, pretty solid ending, but the middle was weak with some silly moments. Thor: very solid – Kenneth Branagh’s direction brought real grandeur to it. Good performances by everybody, though Natalie Portman’s character is very unmemorable. Also one of my favourite musical scores in the MCU. Captain America: I like this film better now than I did when I first watched it. It really is like an old-time adventure, and Chris Evans gives us a really likeable hero. I think we are on the same page with all of these films actually. So cool hearing your thoughts! Iron Man and Iron Man 2- Fun here-and-there, but a little forgettable and I also grow really tired of Tony Stark after a while. The Incredible Hulk- Feels like they mindlessly run around too much only to just throw in an overly long monster fight at the end, but there are parts of it I like, I just always have to re-watch it to realize I like it better than I thought, but still not that fond of it. Captain America: The First Avenger- I love the 40’s and thought this one did a perfect job of capturing not just that decade, but that spirit. It’s charming, moving, and fun; and the ending gets me every time. My personal favorite Phase 1 movie! The Avengers: It’s fun, but never completely blows me away like it does with most. It’s more serviceable than truly breathtaking in my opinion, but am so happy other people love it (I love how I’m like the only person on the internet who is okay with people loving things I either dislike or just like-but-don’t-love. lol) Cap is really good and I love Coulson, I just find Tony Stark tries my patience too much here where I’d rather they just focus on somebody else, but Age of Ultron actually fixed that for me. At most may re-watch both Cap movies before Civil War, definitely don’t feel like watching ’em all, but have fun with Phase 2! Thanks! I like your rankings and as much as I love a good debate we should all be accepting of others tastes. I’m starting phase 2 this week so that will be interesting to see what I think. I think some of the cinematic universe building got a little annoying in phase 2 but I still enjoy those films. I look forward to the rewatch and then I think I should review Merchant Ivory films or something opposite end of the spectrum! Ha. I also never thought I’d be a fan of these movies but I watched the Avengers and got hooked! I love Captain America the most, but my real passion is actually the Agents of Shield TV show. I told you how I saw part of The Avengers at someone else’s house in Illinois and I thought it looked a lot better than Guardians of the Galaxy. I watched it in full today and to be honest I was somewhat disappointed. It was fun and the heroes had a good rapport with each other. I liked it wasn’t non-stop mindless action, but it felt shallow. Like it did exactly was required of it, but nothing more. It didn’t have a very creative or interesting story. It was very simple and it was basically just the same plot as Guardians of the Galaxy. The only thing I can say is it didn’t try to make the plot seem more complicated and it didn’t use humor to awkwardly mesh with the action or distract from a bad screenplay. The screenplay’s requirements were, “Make all the good guys fight the bad guy and win,” and that’s what it did, and there was some good writing in there too. But it feels like there’s not much can happen until the dramatic climax except that they will get Loki and Loki will get away just like Raoul Silva did in Skyfall, and that’s it. Loki isn’t a terribly threatening or interesting villain either and we feel he’s not really a match for 6 heroes including his own brother. Also Banner suddenly being able to control his Hulk transformations felt like a cheat. In the original TV series, the drama came from the fact that Banner had no control over it which is basically the approach The Avengers had used to good effect, and there was even an episode where Banner was crippled from the waist down and he tried to make himself angry on purpose so he could turn into the Hulk and the Hulk’s regenerative powers would heal him, but it didn’t work and he had to wait until he was injured in a bar fight. I enjoyed it while I was watching it, but after it ended I felt curiously empty. Maybe it would have helped if I had seen some of the earlier films but it just feels like it could have been more ambitious, and could have done much, much more. Thanks for sharing your viewpoint. I don’t have any of those issues. I just don’t. I wish I could say the same thing because I really did want to love it. I liked it better than Guardians of the Galaxy for the reasons I’ve mentioned. I do agree that The Avengers actually was very entertaining until the climax. It’s probably because I’m an introvert but I generally just tune out during action scenes, although I liked the shootout in Django Unchained mostly because it was so different and because of all the tension that built up to it right up until Schultz gives in to his fatal flaw and ruins everything. I just have very high expectations for films and even Superman: The Movie left me a bit unsatisfied though it was still good. Maybe I should just accept The Avengers for what it is and appreciate it as that, but it seemed like even The Incredibles was more complex and threw more challenges at the characters. I think I’ll watch it again and see if I like it better. The climax was my favorite part. Ha. I liked the development of the individual characters and them uniting over Agent Coulsons death felt very real and valid to me. Loki is a demigod and has powers that even his brother doesn’t. I love Loki so that was a delight. The dialogue is great. Then why was it so easy to take him hostage twice and then again as soon as the Chitauri were defeated? Also, did Loki want to be captured or not? Unlike Raoul Silva there didn’t seem to be any reason why he would but Nick Fury said he was the only one who seemed like he wanted to be there. All right, I remembered his scepter had been destroyed after the battle. But why was it so easy to take him earlier? Because Hawkeye gets iridium that takes away the tesseracts power. This makes Loki vulnerable and he surrenders. Thor tries to get them on his side but they have the tesseract so he is imprisoned. Then Hawkeye becomes controlled by Loki who then escapes killing Coulson. This is what unites the Avengers. Loki uses the tesseract to launch an invasion of the Chitauri through the wormhole on Stark Tower. The Avengers then gather together to fight Loki and his soldiers. It just gets kind of a bit repetitive and boring when the movies function around chasing the stones around and tossing them back and forth. I don’t know. Your explanation about iridium made sense. 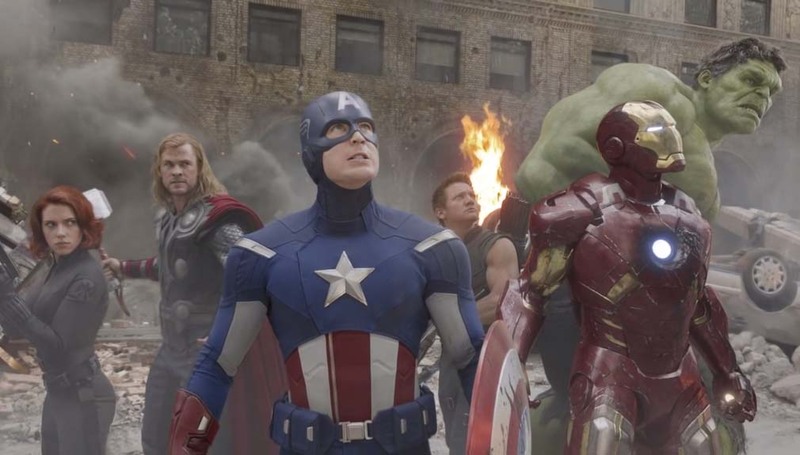 I will say this: if I was 9 years old and I had watched all the other movies, and I loved all these heroes, and waited for a year for this movie to come out and saw it opening day, odds are I would have loved The Avengers. I could see there was strong character, good action, and the elements of teamwork and novelty of all the heroes coming together did something to alleviate the poor story. Joss Whedon’s writing made it a lot better than it had to be, and I did appreciate it for what it was trying to be. And I also realize that most superhero films aren’t nearly as entertaining or well-made as The Avengers, and it should be appreciated for that. Pingback: Spider-Man Homecoming Review – Reviewing All 56 Disney Animated Films And More! 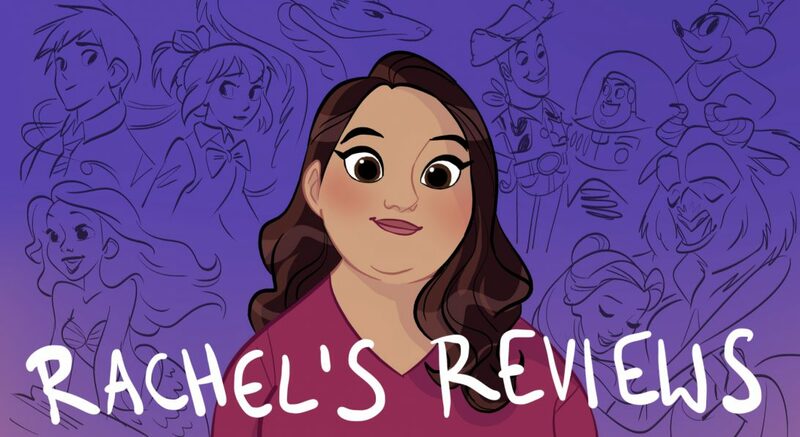 Pingback: Thor Ragnarok Review – Reviewing All 56 Disney Animated Films And More! Pingback: Avengers: Infinity War Review – Reviewing All 56 Disney Animated Films And More!